Each new author has a different story, but no matter where we stem from, we tell our stories because we need to and we hope people read and like them. 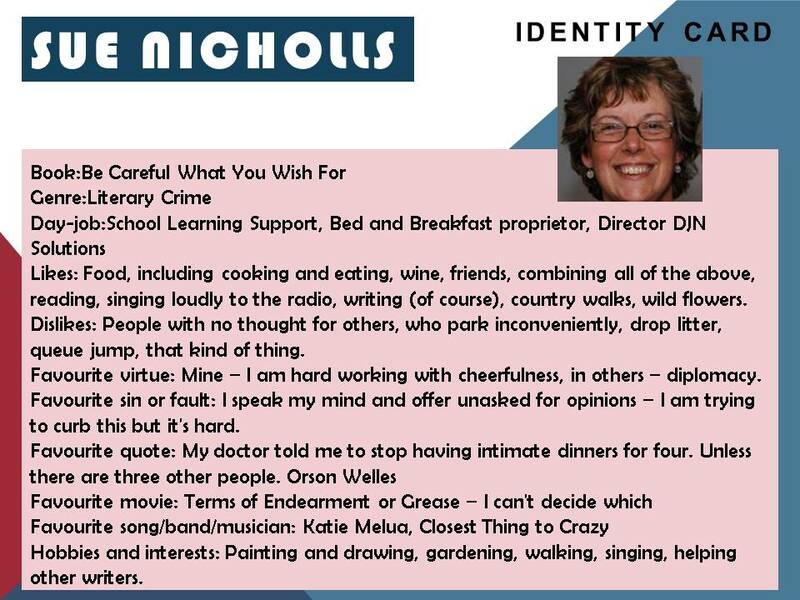 My guest today is Sue Nicholls, the author of Be Careful What You Wish For. Let’s meet her! 1. 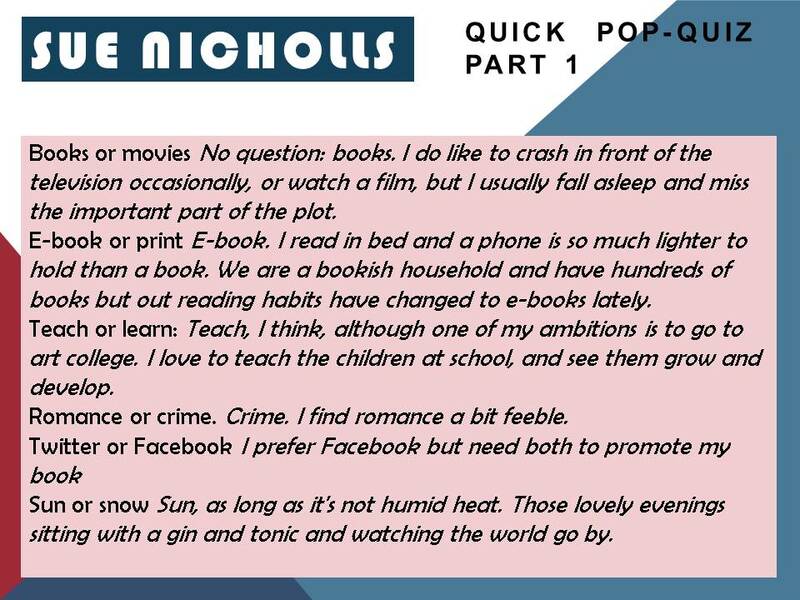 Seeing as you are quite new to the publishing world, do tell us 5 things about yourself which you consider the most important. a.	I have learned so much about myself during this process. I didn’t know I was such a sticker. I kept going when things were difficult and took criticism on the chin – I imagine I am not alone in this as all writers must be the same, but I discovered it in myself. b.	I could read fluently before I went to school, and would read stories to my friends. c.	Both my siblings write. My brother is Simon Mendes da Costa, the playwrite, and my sister, Sara Mendes da Costa, as well as being a voice over artist and in that role, the voice of the Speaking Clock, is about to publish her first novel. d.	If my siblings hadn’t been writers I would never have thought of doing it. I can’t say that I always knew I would do it. If anything, my childhood was spent reading, drawing and painting – apparently I was no trouble. 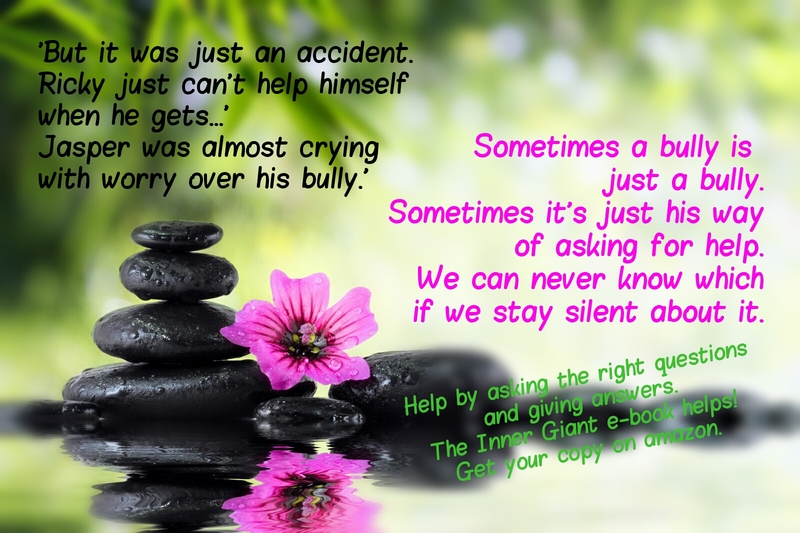 e.	Although my book is a story from my imagination, many of the things experienced by my characters have happened to me, or I have observed in others. I am a student of human nature, as they say. 2. Can you remember the moment when you first decided to publish a book? Was there fear, determination, eagerness? Did anyone sort of give you a push? I suppose once by brother and sister started, the idea of writing wormed its way into my head, but I didn’t really think about it very much. Then one day a plot hit me. Where it came from I have no idea, but I ran it past my husband and he liked it, so I just sat down and began to write. It was much harder than I thought it would be so I read a couple of books and enroled on a writing course, all the time hammering away at the writing. When I met Belinda Hunt of Mardibooks, I was about 40,000 words in, and she gave me really helpful advice, and kept me at it. My brother was also brutally frank. 3. 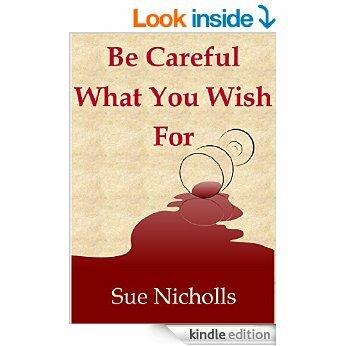 Your first book is called Be Careful What You Wish For. Why did you choose this title? Belinda thought of it. I was reluctant to use it because there are already several books with that title, but I sounded people out on Facebook with it, along with others, and the unanimous opinion was that it was intriguing, and would make them want to buy it. 4. How did the book come to life? Did you plan it before writing, did you have beta readers and an editor? What was your favourite part of the whole process? Having read the first book on how to write a novel, the most helpful advice I got from it was to roughly set the titles of about 30 chapters. This I did but because there are several points of view in my story, I got into a huge muddle and ended up with Christmas happening at several points throughout the year. I had to stop and summarise each person’s story, with dates, and re-write quite a bit. When I got to the end of the second draft I sent it to Belinda, and to my brother. They both said the same thing, that I needed to identify the points of drama, and write to them. It was like a penny dropping and I came home and re-wrote again. This time I planned more carefully. My next book will be planned meticulously. 5. 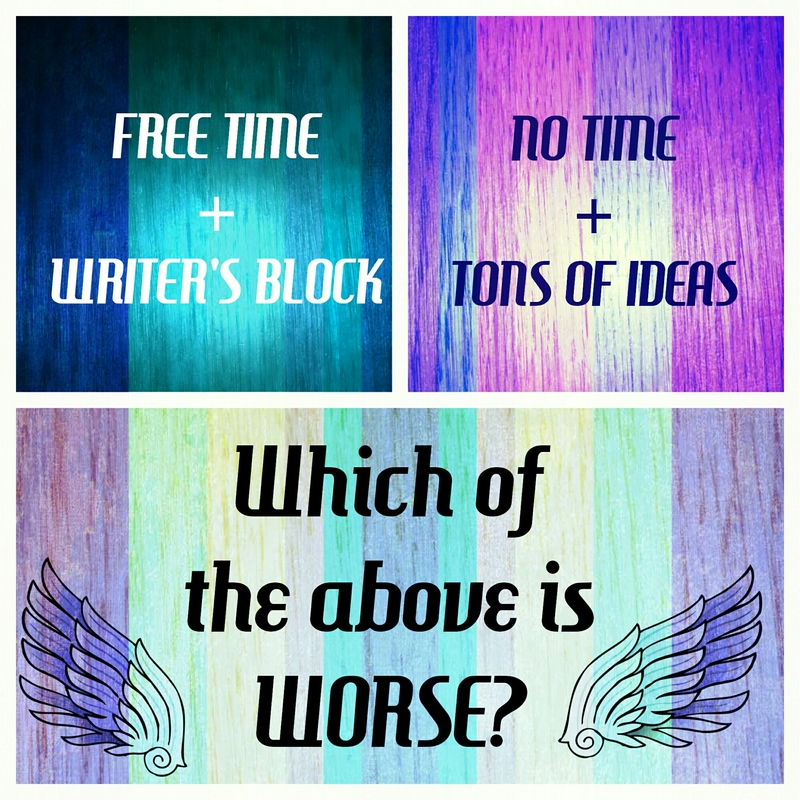 What do your friends and family think about you as a writer? Do you consider yourself an author? I think they are proud of me. I’m quite proud of myself, really. I do consider myself an author. 6. Your book deals with unhappy relationships, but it is not a romance novel. What do you hope readers will find in your book or learn from it? Who would you recommend it to? I hope it will make people want to solve the underlying mystery. The book is aimed at women because, as you say, it deals with relationships. There is a small amount of romance but mainly it deals with the challenges of separation, and coping with the children. One’s sympathies vacilate between the men and the women, and we wonder whether crimes are being committed. 7. How do you cope with reviews and comments? 8. Your website has a poetry section called Poems, not Poetry. I found this very intriguing. Could you explain why you named it this way? 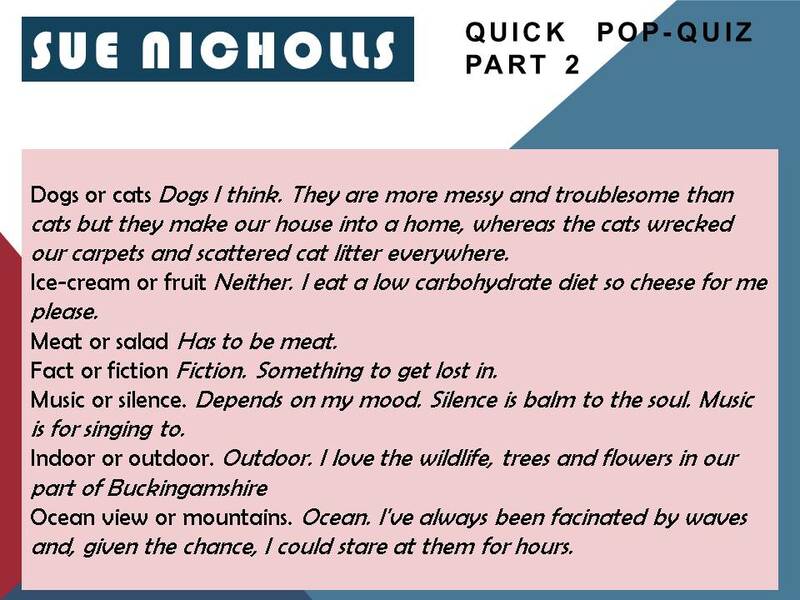 I never used to think of myself as a poet, so I called the first verses I published, ‘pomes’ as per Winnie the Pooh. This was rather self deprecatingly for me. 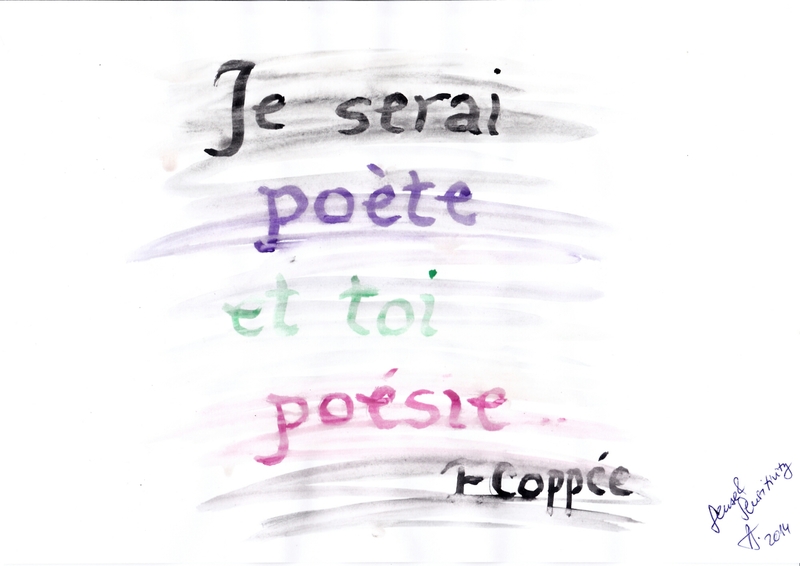 When I had written a few ‘pomes’ I gave them the heading Poems not Poetry because I still thought I wasn’t a poet. I find now that I am a poet. Who would have thought it. The title has stuck though, and I rather like it. It defies pretentiousness, a bit like ‘Singing, not Opera’ would. 9. If you compared your writing style to any famous author, who would it be and why? I wouldn’t do that. I don’t even know. When you have read and reread your words, they cease to have any meaning. Let’s wait and see what others have to say. 10. When you read for yourself, what sort of books do you choose and why? 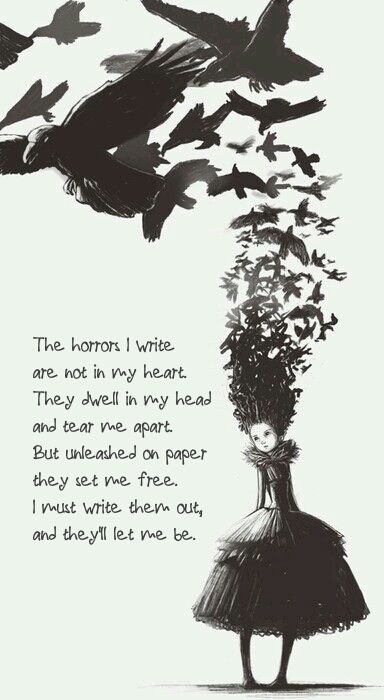 Who are your favourite authors? I like crime. Kate Atkinson and Elizabeth George for example. I also love children’s literature. I’ve read so many wonderful stories to the children by Michael Morpurgo (Escape from Shangrila comes to mind). There’s also a lovely book, recommended by a friend, called The Children of Green Knowe by Lucy M. Boston. The Railway Children, Winnie the Pooh, and so many others I read and loved as a child. Only that I hope they enjoy the story. If they do please tell your friends and leave a review on Amazon. Thank you for being my guest today, Sue! 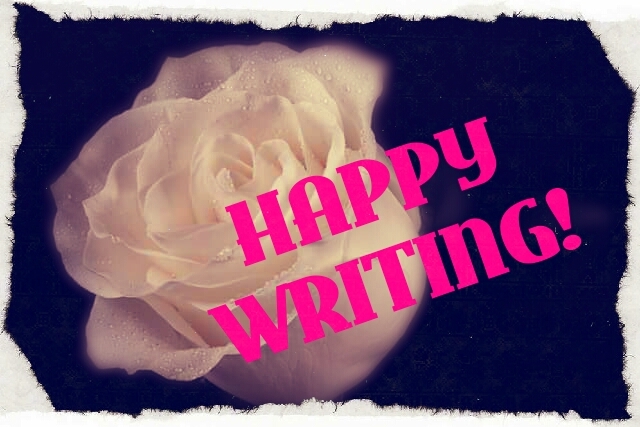 Happy writing! Sometimes you receive a book (an ARC, in my case), and you hope it is good. When you read it, you are honoured, because it is excellent. Incurable will have you flipping through its word-painted images, and thinking about its characters long after you’ve read the last line. 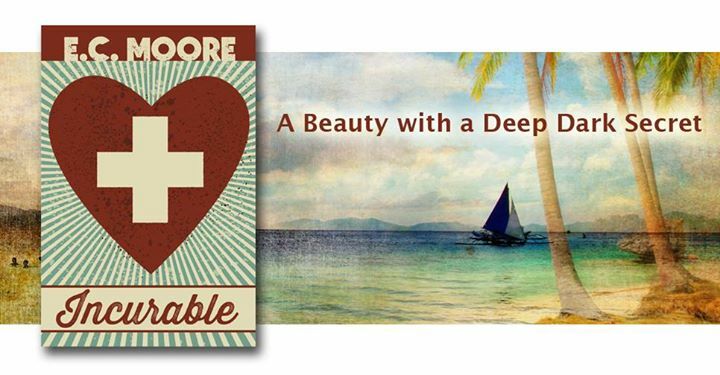 The book tells the story about a very young woman in the USA, in the time before, during and after WW II, trying to escape the fake world of wealth-polished abuse, and falling into the hellish tapestry of Hollywood glitter and the naked truth hidden below. 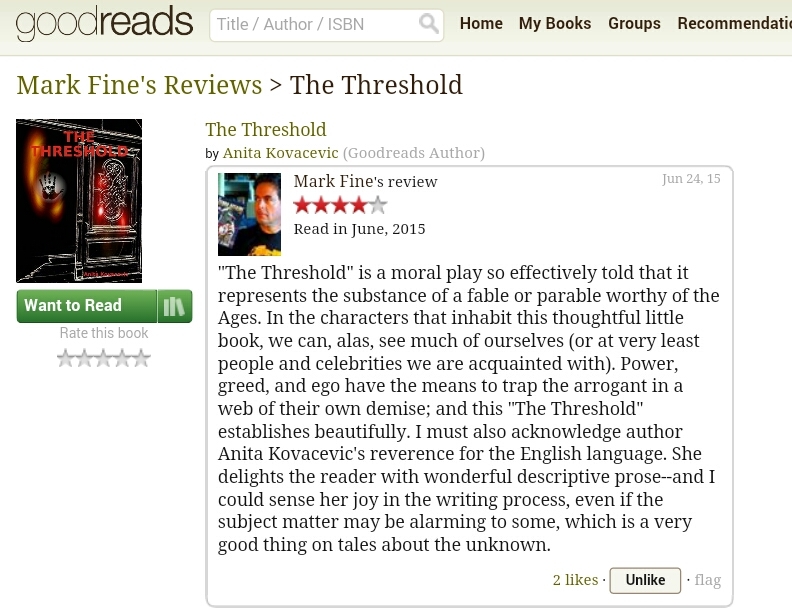 It is filled with excellent, inobtrusive descriptions, which blend naturally within the story. The author has obviously done lots of research, and manages to put you on the scene skillfully, without evident effort, engaging all your senses. The crime story streaming through the plot is truly engaging, and has you guessing and rooting for the heroine till the very end. From the gripping first, but especially second chapter, reminiscent in atmosphere of P. Marlowe, the story is told with love and respect, both for the characters and readers. There is a mind-blowing myriad of characters, especially women, strong women, battling their weakness and centuries-long submission to men’s leading role as providers. Not all beauty is skin-deep, and public success may well be just an optical illusion. Not every hero is always good, not every villain is completely irredeemable. The author displays people’s vanity, weakness, balancing the thin line between what is and isn’t considered moral or immoral, all in order to survive, to escape their history and family legacy if possible. Intriguing human stories fill the pages – from the wise, uneducated nanny to the miserable rich ladies, the seemingly successful stars of burlesque, seedy human trafickers, family histories tainted with greed and revenge, dream-filled immigrants and prejudiced narrow-minded abusers. The intensity of brutal hate and malice is sometimes so overwhelming, just like in real life, and yet the characters all keep chasing love, friendship and success. There is a very open account of sexuality and promiscuity of the time, which is rarely spoken of in such a matter-of-fact way, even gruesome topics, so despite your romantic notions of love during the war, do not expect a soothing, romantic, dreamy account. But do expect friendships and love forged through hellfire! Each decade of the main character’s life brings us an array of different people, each with their own set of values and prejudice, all naked under the facade. It is hard to pick my favourites, although detective Reg and his accidental assistant Doris do take the lead. But Wesley is so tenderly portrayed, with all his faults and virtues, and has such a good heart; he is one of those people who never dominate, but are always cherished. The span through several decades provides us with proof that we can never truly know what motivates someone to do something, till we talk it all out openly. Secrets hurt, and sometimes they even kill. Historical events in Europe influencing the lives of people in the USA seem to follow the main storyline, but actually emphasize how intricate all our relationships are, and how intertwined our destinies are. Each ripple counts. E.C. Moore’s Incurable kept me on my toes wanting to read as fast as I could. There were plenty of topics I never relish thinking about, but they are topics we must think about if we are to face them and change them. Families which are never the safe haven they should be, dream jobs which are more like purgatory, friendships of convenience… But there is always passion and love at the root of things. Incurable is a proper saga, and lends itself to a fabulous TV-series. If you want a book which will engage your mind, soul and senses, Incurable will deliver. I love the ending – despite all the dire straits, it celebrates accomplishment, not fame. It celebrates the real values in life, earned through hardship, but cherished forever. And so our June challenge is coming to its close. Bev’s cat photo has proven most inspiring. Lesley Farley has sent us his science fiction version of events. Thank you, Les! 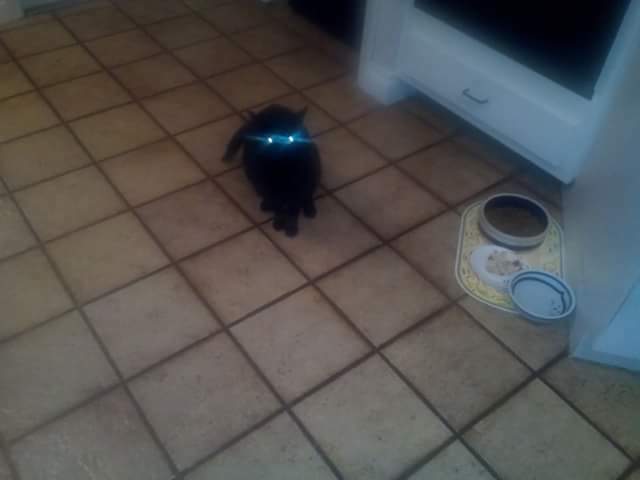 This is 9llL35, robotic feline replacement, with my initial report. It has been seven earth cycles since my arrival and since I first placed the regular household pet high in a woody plant structure several kilometers from this location. It is in stasis and can be returned to the family once my observations are complete. It has proven more difficult than first anticipated to mimic the household pet but I am adapting and so far there does not seem to be any signs of suspicion from the earthlings. I have heard them comment concerning the absence of what they refer to as ‘hair balls’. Please scan their global media and determine what these objects are. Then replicate some artificial ones and prepare them for transport to this location. When they are ready you can deposit them behind this domicile. There is a structure there two meters tall where they place food for flighted creatures of this world. I spend large portions of the day sitting there observing the feathered creatures. The internal temporary storage compartment that you equipped me with has proven to be very useful. A food receptacle for the household pet is filled twice per day with small objects intended to be sustenance. I observe them while they fill it and usually I just sit there and pretend to be uninterested. After they walk away I transfer the objects to my storage compartment. They are easy to dispose of. As I make my regular observations I am required to go in and out of the housing unit multiple times per cycle. Sometimes I no sooner go outside than I return. This seems to agitate the earthlings but it is necessary for me to do so if I am to make a full behavioral study of them. During these external excursions I am able to expel the food objects with ease. During one of my outdoor observations I encountered another creature similar to the household pet. It is also a quadruped but it is larger than I. It ran very fast towards me and made vocalizations. It seemed as though it expected me to flee. It became more and more threatening so it was necessary for me to vaporize the creature in order to continue the mission. Observance of the earthlings is far simpler than was anticipated. Much of my study is conducted nocturnally. I often regenerate during daylight hours when my solar collection unit is able to capture light. Then I move around the domicile while it is night. Early in the day when I am anxious to resume my observations I sometimes climb onto the structure that they use to regenerate. Sometimes I am able to bring them from unconsciousness by climbing onto them and making them aware of my presence. It has been determined that the earthlings are incapable of telepathic communication. On numerous occasions I have attempted to communicate with them telepathically by sitting directly in front of them and staring into their faces silently; but my attempts to send the messages go unanswered. Some of these instances are conducted while they are at rest and are looking at objects with pages. It seems to be some sort of meditation. Although some observation is still necessary it is becoming more and more evident that an invasion can easily be initiated – most likely very soon. We will have no difficulty at all in subjugating this species. They will be our slaves. They will serve us well. END TRANSMISSION . . . . . . .
Let me thank all those who participated in this challenge! There may be one or two which arrive within a day or two. It is quite interesting to read all kinds of stories which can stem from a single photo. Thank you, Beverly Tiernan, for this photo inspiration. Overall, I think her cat would definitely be amused to see how much we are in awe of its species;)! Some books do not offer an escape from reality, but they do help you deal with reality, and inspire you to help others do the same. This is one of such books. 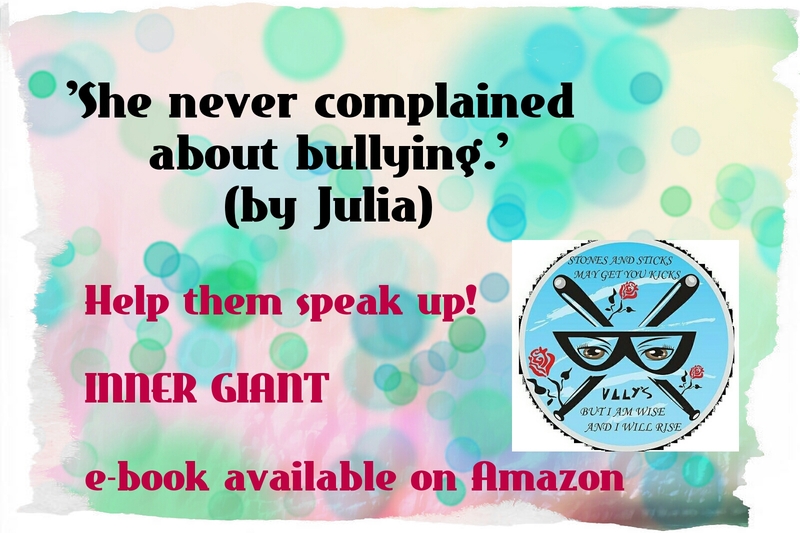 Bullying and abuse in all their forms are never an easy topic, will not make your summer more fun, and a book about it may not be something you would give someone as a gift with a shiny bow and in colourful wrapping paper. But the point is – this book talks about such difficult topics through stories (many based on true events), essays, poetry, illustrations, paintings, photos and songs, and even worksheets and project ideas for classroom use. 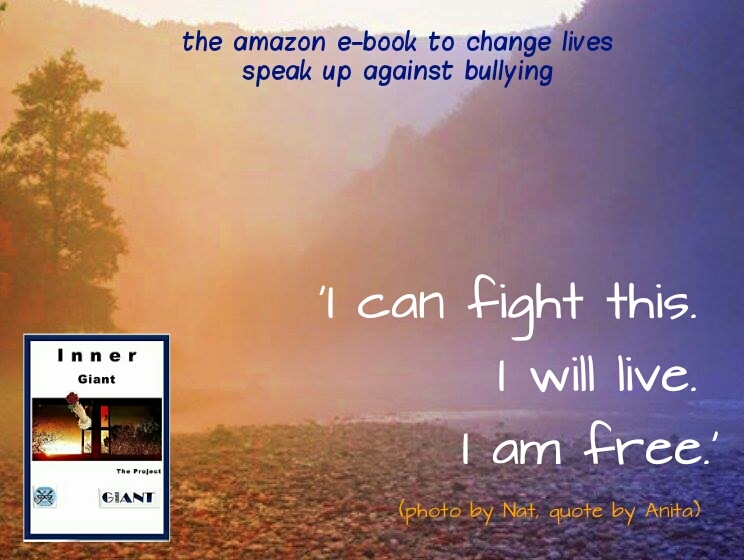 The main goal of this book is to help people realize that being bullied or abused is not something you should be ashamed of, but something that must be dealt with. 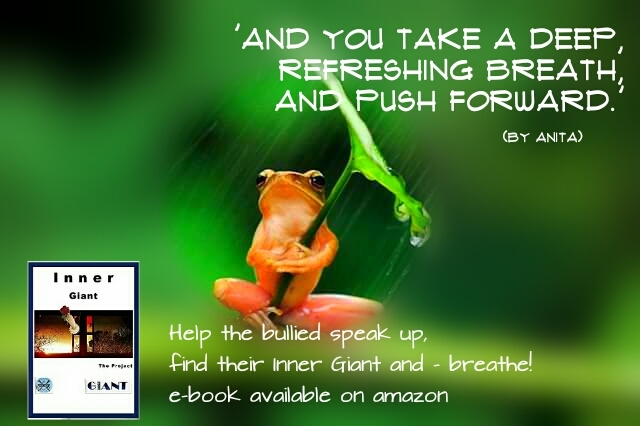 It inspires people to help those around them, be they the bullied or even bullies seeking attention, as well as to help themselves, by awakening our inner giants, our inner strength, the kindness we all possess. Being one of the contributors, I may be biased in my review, but I have already seen its positive effect on people as it was being created. There is something for everyone in Inner Giant, and whether you are a teacher, any kind of an educator, a parent or a grandparent, you will find something in this book to share with your family and friends, and especially those we cherish the most, and should protect the most – our children. This poem is one of my contributions in the Inner Giant project started last spring to raise awareness of bullying, cyberbullying, abuse, and violence, and the overwhelming fact that many dare not speak about those problems, but keep it secret, ashamed and depressed. 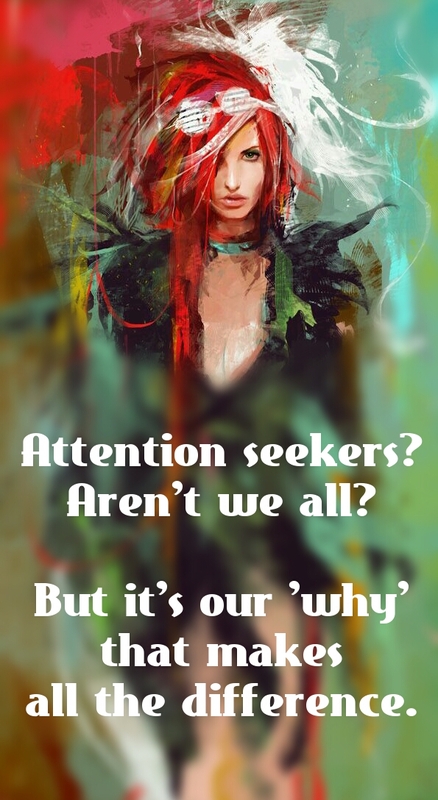 It is so important to talk about it, to share experiences and help each other find our own inner strength, inner giant, to face the problem and deal with it. And I am not talking only about children. Abuse and bullying are not our favourite summer topics. But helping someone deal with them, helping awake someone’s inner giant CAN save lives. Even during the making of this project, all of us involved experienced a positive change around us, and found people opening up to us, unloading burdens that they had been carrying around for months, some even years. It makes this book worth your attention. Help people keep their head above water, and they will swim on. I hope some of you make time to share this post and download this book. It consists of 400 pages of stories, essays, poems, photos and illustrations by educators and artists from around the world. All proceeds will go to charity! 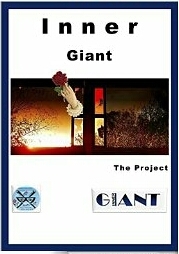 The book is available here – Inner Giant. 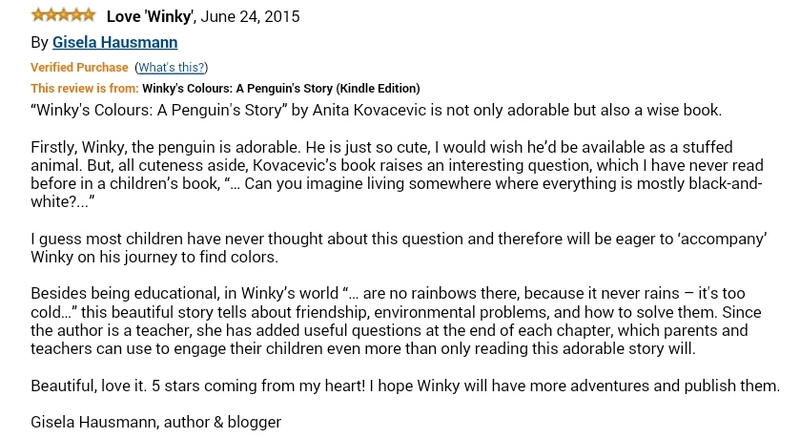 The following review says more about the book than I could. It would mean so much if you left a review! Do share the project with friends, family members and educators! It is worth it. 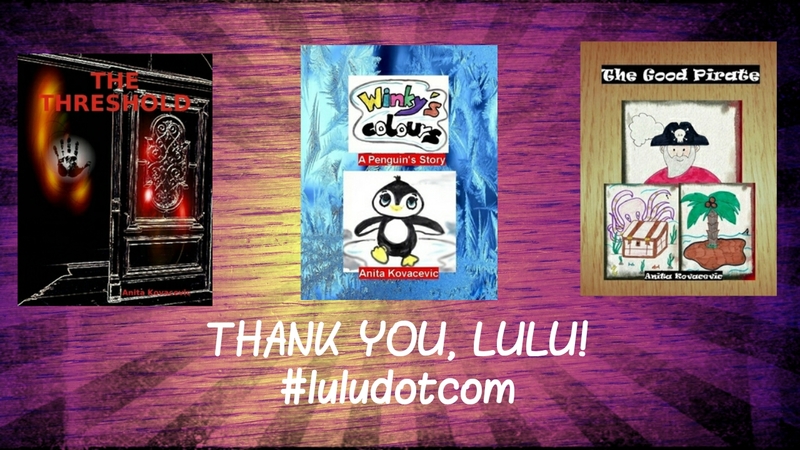 Happy to say all three of my books self-published so far via Lulu.com are now available on amazon. L.A.Remenicky was my gracious host this week. Read all about it on her blog here. 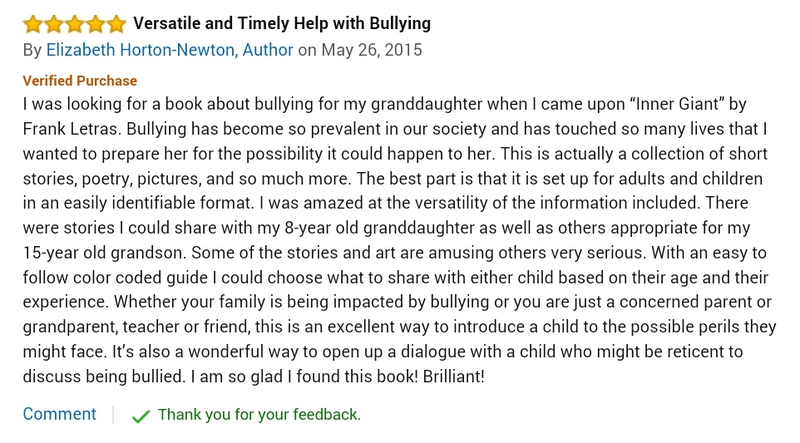 Getting good reviews for your books feels kind of like hearing someone praise your children. There’s such a thin line between pride and vanity, isn’t there;)? But allow me some pride, and I will try to refrain from vanity;)! My first novella, you know! First self-published book! Winky? What can I say about Winky? I’ve told his story to so many children these last years, I feel as if he were a house pet in the least, you know! Anyway, glad people like my stories. I know not everyone will. I read a lot, and not even I like everything I read. But every book can teach us something. Every book is treasure in its own right. So read on! And huge thank you to all the people who take time to read the books and leave reviews! It means a lot!